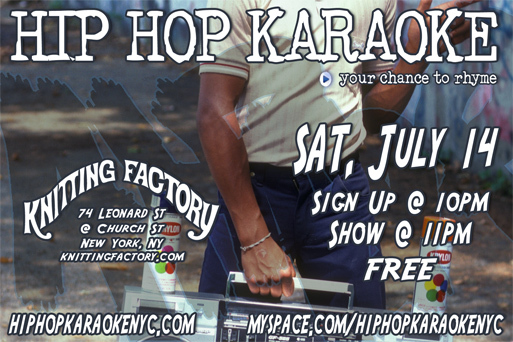 Hip Hop Karaoke NYC :: Blog: TONIGHT!! i've been looking forward to this one ladies and gents... it does indeed seem like FOREVER since we've rocked a proper HHK at the Knitt. Come thru, have a beverage, enjoy the free'ness, enjoy the rhymes. see you there at 10pm! Saturday night's show was a lot of fun. You guys were great as always!